What Really Causes Accidents in the Workplace? | Daniels Insurance, Inc.
A majority of workers seem to like to find things to blame when workplace accidents occur rather than root causes. 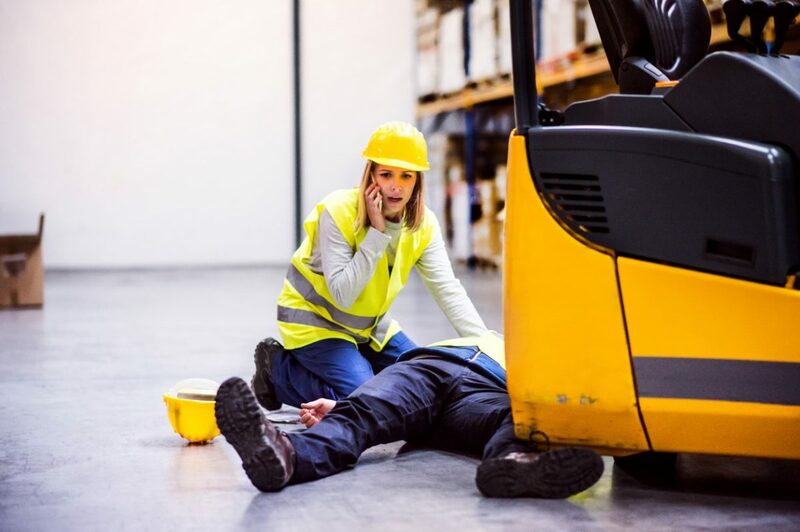 But while finding out what cause an accident in the moment might give your business temporary relief, in order to really improve your workplace safety culture and reduce accidents, it’s necessary to dig a little deeper and look for the root cause. Having a strong understanding of what the root causes of workplace accidents are will also give your workers a greater incentive to practice proper safety members and will give management a clearer idea of what needs to be done to truly create a safe work environment. That being said, let’s take a look at some root causes of workplace accidents. Housekeeping is one of the most accurate indicators of the company’s attitude towards production, quality, and worker safety. A poorly kept up area leads to hazards and threats everywhere. Not only does good housekeeping lead to heightened safety, but it also sets a good standard for everyone else in the workplace to follow. The quickest way to get a job done is to do it right the first time. Employees must have any and all pertinent information relating to the task they will be performing. Deliberately neglecting set safety procedures in the workplace endangers the employee themselves, workers around them, and the company as a whole. Casually following safety procedures doesn’t work either. Confidence is always a great thing to have, but there is also such a thing as too much confidence. The attitude of, “It will never happen to me”, leads to incorrect procedures, methods, and tools while working. Taking shortcuts is a rather common practice. However, when workers take shortcuts at work, especially when working around dangerous machinery or chemicals, they are only exposing themselves to a potential catastrophe. Shortcuts simply increase risk of injury, or worse, death. If someone is pushed beyond reasonable limits to stay on top of workload, the results often are physical and mental exhaustion. This translates to impaired judgment, slower reflexes in operating machinery or motor vehicles, a delayed response to emergency situations and inattention to details and instructions. Job security, finances, health issues and anxiety about personal relationships all factor into the stress equation. When an employee’s mind is too distracted by real or perceived threats, they are not only more likely to make mistakes that could cause injury but also invites an increased risk of a heart attack, stroke or hypertension. When workers begin a task without thinking through the process beforehand, or hastily start without any type of planning, they are setting themselves up for failure. Lazy workers are not as effective and they are not as safe as their aware and focused counterparts. These workers immediately become a direct threat to everyone around them. There needs to be a conscious effort each and every day in the workplace to avoid accidents. No matter how prepared you are, there is always the chance that an unforeseen incident may occur. Protect your operation and your workers with a New Mexico Business Insurance program that includes Workers’ Compensation coverage. blog, Business Insurance, Workers Compensation New Mexico business insurance, workers compensation, workers compensation NM, Workplace Accidents permalink.